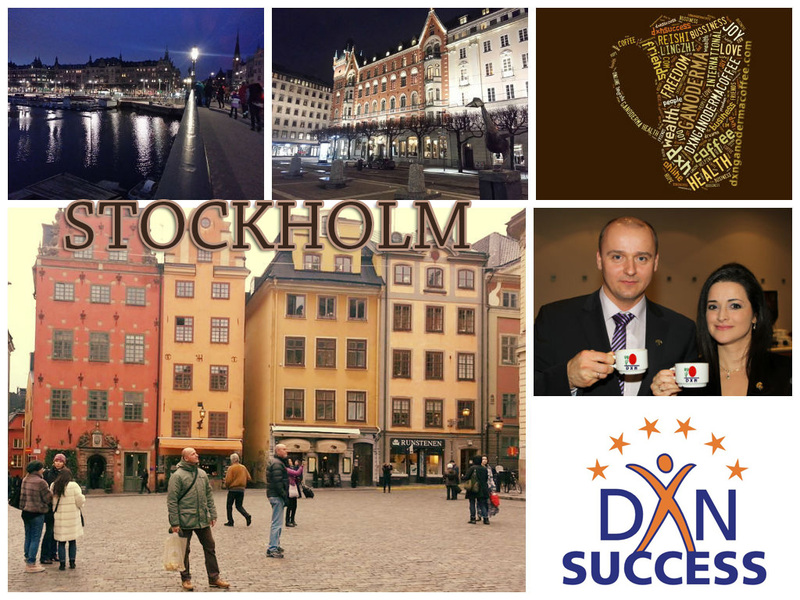 DXN Sweden is a new opportunity! Do you like delicious and exotic coffee? What if it isn’t only delicious but also healthy? How health conscious are you, and how important is preserving your family’s and own health to you? Meet this exotic coffee with ganoderma (also known as reishi or lingzhi) consumed by more than 5,000,000 people worldwide today, known and consumed by more and more people in Europe day by day, and now in Sweden. Acquaint yourself with the company background which guarantees high quality and price/value proportionate prices, as well as reliable service. DXN has been in the market for 20 years, with their base of operations, plantations and factories located in Malaysia. It has been present in Europe for 5 years. And now, their products have arrived to Sweden. While the local product serving center was not opened yet, products are supplied from Europe, from the Slovakian center. With a 20 euro one-time registration you can purchase the products with 22% discount with no further obligations. If you are interested in the popularization of these products, read on! The sales of DXN products is conducted through a Network Marketing system. Anyone, who recommends the products to others may receive a commission, through which they can reach obtaining products for free, or if they spread the business prospects as well, they might reach steady financial stability as well, with their revenues coming from the spread of the product. We look for DXN Sweden team member who would happily be among the first to spread the word about DXN and its products in Sweden, and are willing to take on the starting difficulties and challenges for the later benefits, so as to build up DXN on the Swedish market with their help. What methods, tools aid us in being efficient? Free webpage system in 17 languages, where 3 parts are freely editable: my story, the blog and the contact info. You can access your DXN business anywhere in the world! There will continuously be public presentations and Start courses in Sweden. Become our DXN team member and register into DXN business, the fee of which is 20 EUR. You get are registered into the system only after a successful paid registration, that is when you gain intranet access (where you can find many useful educational materials, internal web office and you can order the webpages here as well. Use our sponsor code to join: 310007879. After registering you immediately receive your DXN code. New team members can register to you immediately at the same place, all you need to do is share your own DXN code with them for this. Note: this code can immediately be used for discount purchases as well, but you are only entitled to bonus if you pay the 20 EUR membership fee. You can conduct this payment easily by PayPal. Later, you can order together in Sweden, delivery is free above 500 EUR of purchase value. Naturally delivery is possible in smaller quantities as well. For further details, feel free to contact me in e-mail: stefcoffee@gmail.com or on Skype: stefcoffee. Plant the seeds so that they may burst into fruitful life! Register now! I’m looking for dxn stock point, service center, dxn branch office in Sweden, how can we register member in Sweden?